I believe French is the better of the two Inside LB for Whitehaeven. Eason was a beast his freshman year thought he played better than the Sr LB that went to Mizzou in the championship game a couple years ago. But he’s has gotten big and slow. The games l watched of Curtis vs MBA this year he just didn’t stand out to me. Good athlete. good speed and physical. All 3 BGA guys are solid.......good qb as well. Also........if you can get a Maserati in Nashville, why go to Texas and get the same car? Folks why has UT struggled to sign top WR prospects out of the state of Tennessee the past 4-5 years? last year Pruitt just had others guy's he was interested in. prior, acc to hubbs and company, there were just guy's Botch and Co flat out didnt go after ... and flat out missed on evals. Allocate more attention to those you want out of state. Having a strong hold on instate talent is nothing but a plus. I believe class of 2021 will be special for middle TN. Some elite talent will come out when it’s all said and done. As cities Memphis and Nashville dispise each other for decades. Memphis always thought it should be the state capital. For you really old timers, do you remember the State tags for cars that started with 1-, 2-, 3- etc etc etc, those were 1 Shelby, 2 Davidson, 3 Knox county and every county in the state based upon county population. Shelby county was pizzed off when the state did away with that numbering system and they were no longer #1 in the state. Losing to Vandy would make no difference to kids in Memphis. Plus the kids are looking for the best place to get the to the NFL. Same way we did in other states. Seems like we heard this with a lot of the recruits we got this year. Well, that’s it. 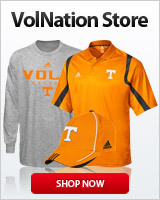 Coach Pruitt, the anonymous insiders of the interwebs have spoken—no need to waste any resources on recruiting Grimes. Marietta and Grayson are the 2 schools where we have natural pipelines in the ATL area. Colquitt County in South GA is another where we have an in with the players and coaching staff. Any others I'm missing? What GA schools do we need to do a better job of recruiting? The experts don’t really know this far out. It’s kinda like when most of them had Darnell going to Ohio state early last year. Things change in recruiting almost daily. I wouldn’t put much stock in thier predictions until one commits. All things being equal sure but why shop at one dealership when you can shop at many? Meh. Imaginary lines matter not when you got a great recruiting staff. And a 2* in Texas or Fla is a 3* in Ga?